Rotomaxx Slings – FERRETERRO INDIA PVT. LTD.
Now all your turning devices for turning automobiles, chassis, Marble Blocks, Machines, Moulds infact, rather anything can be secured on our range of Ferreterro ROTOMAXX slings. These are heavy duty slings impregnated with Polyurethane and plasticized coating to grip the load and are almost Anti-cut. 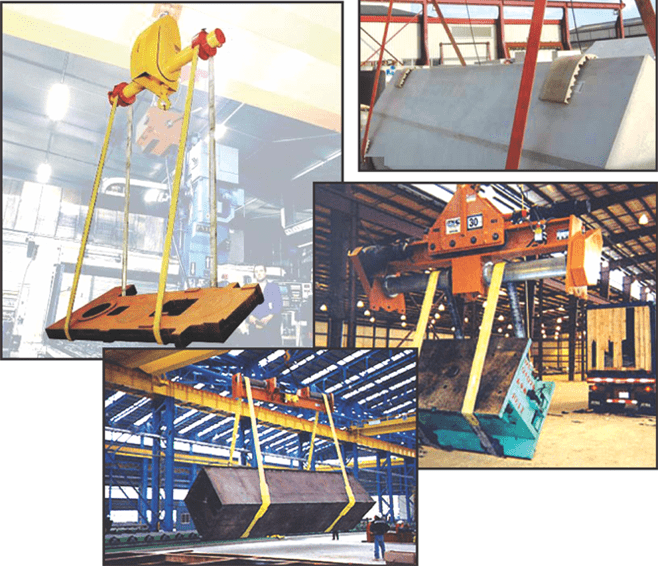 These silngs can be made up to 30 ton load turning. 1. Damage free rotation, cost effective. Universal sizes fit all machines like Vetter, Load turner, Pal Turner, Posi Turn, wimag, EZ Turn, rather fits to every machine. These Belts are made in house in special state of art equipment to give maximum life to the product. The structure is controlled so that the load remains perfectly horizontal to the load turning device. Corner protectors and sleeves and coatings together provide abrasive and cut resistance comparable to alloy steel. Rotomaxx are the special belts of universal sizes which fit all machines like Vetter, Load Turner, Pal Turner, Posi Turn, wimag, EZ Turn or rather fit on to every machine. 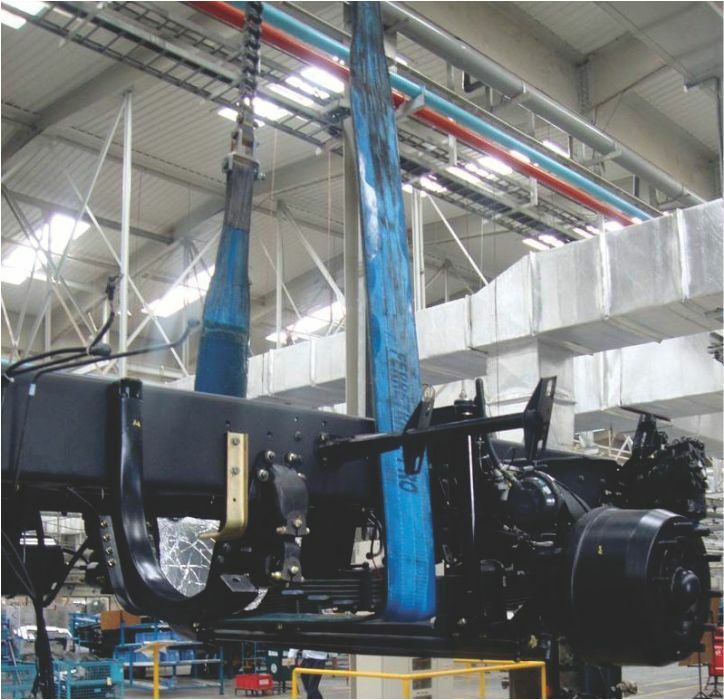 Ferreterro Manufactures Chassis Inversion slings for all automobiles and all make. The superior cut resistant Ferretexx polyurethane coating on slings gives protection for extreme cut resistance and safe lifting. Available in all length and widths. These belts are made in-house on special state of art equipment to give maximum life to the product. 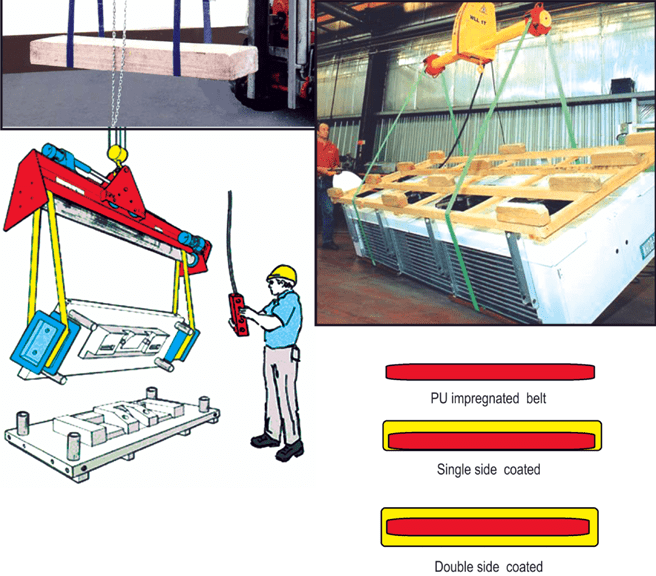 The structure is controlled so that the load remains perfectly horizontal to the load turning device. Corner protector, sleeves and coatings together provide abrasive resistance. Sharp edges of load should be covered with protection sleeves. The padding of sharp edges is a good job and recommended for longer life of slings. The end fitting grab should be free of burrs or abrasive surface so that the sling eye remains intact. The padding should be regularly checked to prevent slippage. Regular safety instructions should be followed while lifting. 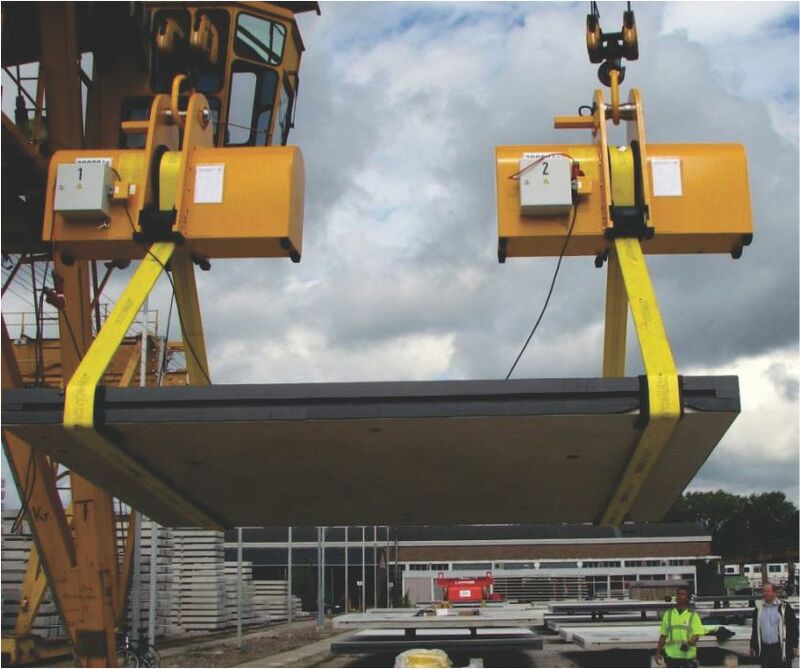 Check the slings before each lifting for any misuse of lifting safety threat. Check for manufacturer certificate, Conformity to standards certificate prior to use.